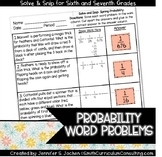 Three-page resource with 9 word problems (one step and multi-step). 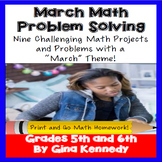 Topics include perimeter, adding money, interpreting remainders, elapsed time, measurement conversions, and subtracting decimals. Great for end-of-the-year review! 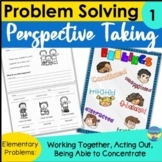 Solving problems using perspective taking skills, emotion and character trait vocabulary all in one fun, easy to use set that works on these skills in each problem scenario. The half page format will let you easily view the PDF on your device as a basis for discussion, just printing the worksheets. 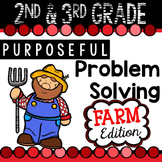 Easily incorporate literacy skills into math or math into your morning message with these fun and engaging math story problems! 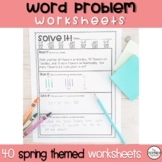 There are 42 story problems that cover concepts including: addition, subtraction, money, and patterning. 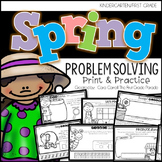 This set includes Picnics, Frogs, Oceans, and Ice Cream Themes. 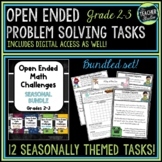 Also included in: Math Enrichment Projects for the Entire Year! Great for Homework, BUNDLE!